I wonder if they are running ASCoC? A friend talked to Dale in Florida. He said he had a whole schedule and deal lined up for the year but didn't want to drag everything down to Florida. Didn't specify what the schedule looked like though. Would be big for the ASCOC if they do. Awesome to hear he's got a ride. Too good of a driver to not be racing. Hoping he races some in open competition events ( enhanced purse events ) so we don’t have to exclusively attend ASCOC events to see him compete. Where was this car last year??? A step down for Dale compared to what he is used to. That car ran more consistently back when they were on the All stars with Cap then the Zemco car has the past 2 years. This car tends to go into hiding for weeks at a time. I honestly think they were waiting for a driver they wanted to take the ride. New to group. I read the thread on Dales new ride but following it as to whom he will drive for has been confusing. Jeremy Elliott from Sprint Car Unlimited posted the news but if you're not a paid member you can't read his articles. The Coomer car schedule is on the Dale Blaney fan page on Facebook. Posted on http://SprintCarUnlimited.com : @DaleBlaney inks 40-race deal @Coomer_21 , could run one or two other cars to supplement his 2018 schedule. He will be in the Coomer 21 car for 40 races. They will be mostly All Star and WoO races in Ohio and Indiana. Here is a copy of the tentative schedule for that car. Cap Henry Ride ... looks pretty cool!! 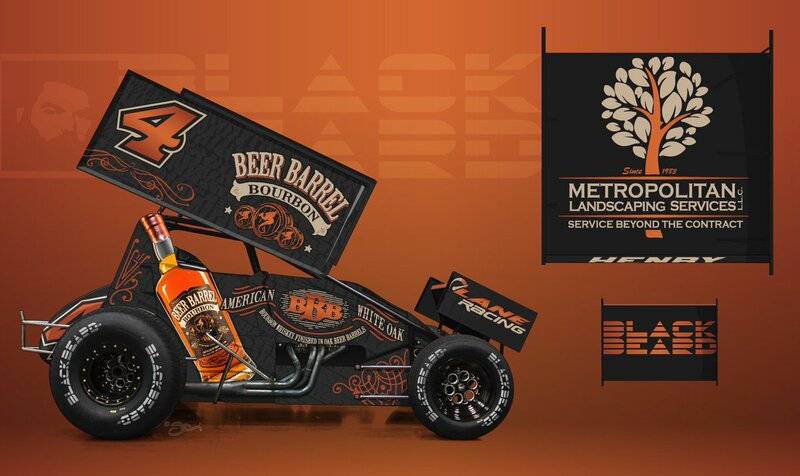 We are excited to welcome @NHspirits, Beer Barrel Bourbon as a primary sponsor to Lane @laneracing12! Check them out and give them a follow!! Thank you to @BLACKBEARDltd for the awesome design and we can't wait to see it come to life at @atticaracewyprk opener, 18 Nights away!